OpenRoad Auto Group chief executive officer Christian Chia. Photo courtesy of company. OpenRoad Auto Group is now in the vehicle subscription game. Late last month, the British Columbia dealer group launched PORTFOLIO by OpenRoad, an all-inclusive luxury car subscription program that includes multiple brands. OpenRoad partnered with Clutch Technologies, a U.S. software platform owned by Cox Automotive that facilitates vehicles subscriptions. Launching initially with high-end luxury cars, the plan is for PORTFOLIO to include mid-level options by 2019. “These days consumers are seeking more variety in their driving experience beyond the traditional car ownership model,” OpenRoad chief executive Christian Chia said in a news release. “We’re excited to be able to offer a new option that will be attractive to a growing consumer segment -- one that delivers more convenience, a lower level of commitment, and flexible access to more dream cars, more often,” Chia said. Subscribers will be able to access up to four new luxury vehicles each month. Among the brands included are Porsche, Land Rover, Jaguar, Lexus, Mercedes-Benz, BMW, Genesis, Infiniti and Audi. PORTFOLIO includes one flat monthly fee which also covers comprehensive vehicle insurance, maintenance, pick-up and delivery. Users must pay a $750 one-time initiation fee, and drivers must at least 21 and have a clean driving record. Delivery on cars will begin on Jan. 1. 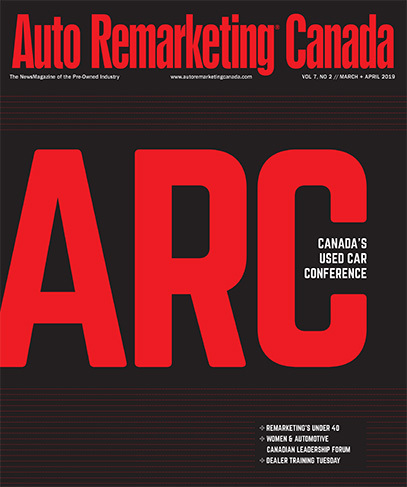 Auto Remarketing Canada will have more on vehicle subscriptions in Canada in The Innovation Issue, which arrives soon.